April 16, 2010 Dan O. “Mozart” didn’t sound pretentious enough. Antonio Salieri (F. Murray Abraham), a mediocre composer whose churlish young rival, Wolfgang Amadeus Mozart (Tom Hulce), wins immortality with his musical genius. Not happy to see his talent eclipsed, Salieri dons a disguise and deviously plots revenge, obsessed with muffling Mozart’s maddening laughter. This is renowned as one of the greatest of all-time, winning 8 Oscars including Best Actor and Picture. To be truly honest I can’t fight against that too much. The one thing that is really great about this film, is that going in you expect to be seeing another typical state-of-the art biopic on one of the greatest composers of all-time, where everything is happy-go-lucky, and the protagonist is such a good guy yudda yudda yudda, the end. But here with this film it isn’t so much of a biopic as it is a period piece on the music that these two composers made and feuded against each other with. The interesting themes of jealousy, mediocrity, and fame are all put to play in this film, and the messages that this film brings out from a story back in the 18th century, still rings well in today’s world. That is the most significant thing about this film cause anybody that has had a taste of mediocrity, can connect to the anger of how you feel, and especially when it comes to the idea of fame, because anyone that has ever felt rushed before, and so criticized because one person didn’t like your work, you can understand why Mozart and Salieri both are pissed. 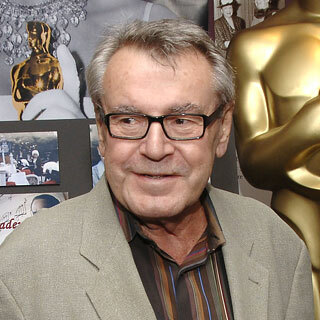 Director Milos Forman totally lights up the film with everything he’s got in his production values. The film looks so extravagant placed in 18th century Venice, especially the scenes within the opera. I have to tel you that those scenes added more color, and beauty to the overall product of the film. Shall I also not forget the costumes, because these people look exactly like they are taken out of a 18th century painting, and just because they look so true to the real thing, the film almost seems like the costumes are a joke by how ridiculous these people look. Also, many of the scenes are long and in real-time, which add such a better feel, than being a highly eccentric film that goes from one scene to another, in such a crazy fashion. If you like Orchestra/Opera music, than you are going to love this film’s score, as I did, because almost every song seems to connect to the emotional power of this movie. There was one down-side to this film that gives it a lower rating than a 10/10 of which it was working on, but the film is placed in 18th Century Venice, with an Italian dude named Antonio, and an Austrian dude named Wolfgang, why are they all speaking in English? Like in all honesty, I liked the film and this may seem as a minor complaint, but I couldn’t see the film as being too serious when everybody was speaking English, and when you got the Austrian dude, played by the very American Tom Hulce. Needless to say, the one major thing that really attracted me to the film was that F. Murray Abraham, and Tom Hulce were both nominated for Best Actor Oscar, with Abraham coming out on top. To say the least, the performances from both are so great, that I think it should have been the first tie in Oscar history. The thing is with these performances though is that their so different, in their own great ways. 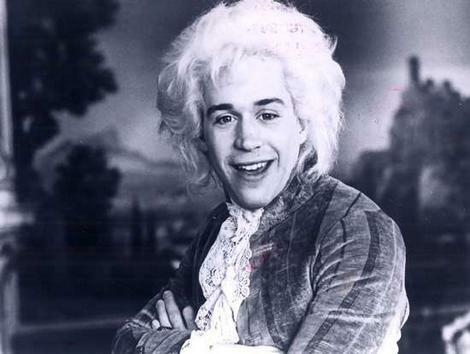 Hulce plays Mozart with so much humor, so much complexity, that when this character is actually acting like a deuche, we still sympathize with him. But Abraham, is so scary, so devious, and so angry, that it is almost too rule to the human emotions. This guy is smiling and shaking hands one minute, the next minute he is breaking and yelling in a rage, due to all the guilt he has. Both performances are equally as good as the other, but they are just so different to compare, but that’s what makes this film so great. Consensus: Amadeus is a character-driven biography, on one of the greatest minds in art, and the man that wanted his fame the most. It is filled with enough great settings, pieces, very very realistic writing, and most of all terrific performances from both leads, that this film is a joy in all of film. This is a great film all around. It looks spectacular on the visual level, has a great story, has tense inner/outer character conflicts, has an awesome historical reference (Mozart’s life in Vienna), and not surprisingly with a film scored almost entirely by Mozart… it has great music. So, in short, I agree with your review.